Kyle Houchens of The Outside Design Digital Design will introduce you to the basics of modeling in Rhino for Mac. 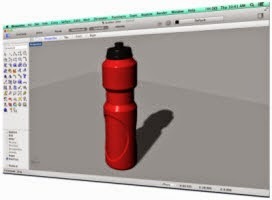 Kyle will show you how to design and model a water bottle completely in Rhino for Mac. Rhino tips and tricks will be covered throughout the presentation. The presentation will take approximately 1 hour, and questions will be taken at the end. The presentation will be recorded.